If you have some experience in felting, we suggest you to try your hands on the short jacket with three-quarter sleeves (based on the dolman sleeve pattern). Using this resist next time, you can create your own unique garments. This is "all-in-one" kit that contains everything needed to help you make your first seamless jacket, except some little things: a water scoop, a towel and soap. 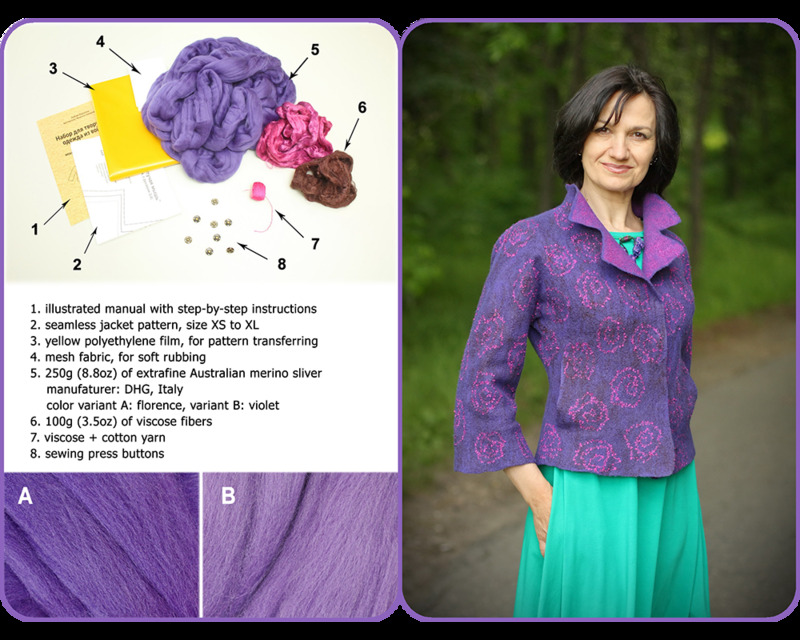 We've gathered all the materials: an extra fine Australian merino sliver, viscose fibers, yarn and other accessories .